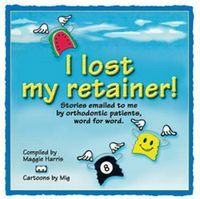 Sometimes, as hard as you try to be responsible, you (or your child) lose or break your orthodontic retainer. Teeth are dynamic, so if you don't wear a properly fitting retainer, your teeth will shift. That's why it's important to replace or repair your dental retainer if it's lost or broken. Replacing a retainer can be quite expensive -- as much as $300 or more! 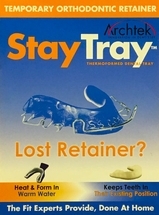 For that reason, some people don't replace a lost retainer immediately. The products in this category can temporarily help you with this problem. Remember, you (or your parents) spent a lot of money on your orthodontic treatment -- get your real retainer replaced as soon as you can!